[Review] I’m still drooling over the cake! Working with them to create my sister’s wedding cake went deliciously smooth. Not only do they have an extensive list of credentials that include The Knot & Wedding Wire, but they were easy to communicate through e-mail, phone and so very helpful and friendly in person. My sister lives in Seattle and was having her wedding down in Orange County, so you can imagine how hectic it could be to have to bounce back and forth between the two parties. They really worked with us and my sister’s budget and came up with a beautifully delectable cake that I still dream about. I am now getting married and of course, Patty’s Cakes was a no brainer. UNFORTUNATELY, they don’t deliver to LA so I’m going to have to settle for something else… but if you’re having a wedding in the areas they deliver to, this should be a no-brainer. Try one of their cupcakes and it’s almost a guarantee you won’t look anywhere else. * My sister even ordered a dozen cupcakes over the phone from Seattle for my birthday. I had to drive from LA to pick them up myself… but it was worth every moment in traffic. We did it again, three years in a row! Thank you to all of our fantastic brides and grooms for helping us earn such a prestigious award. 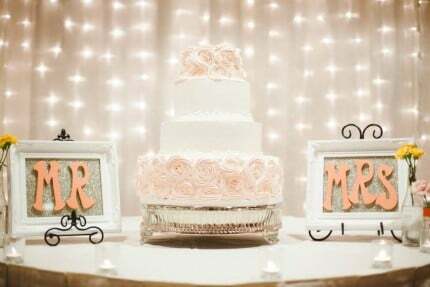 We’ve been honored to bake for weddings all over Orange County. Patty’s Cakes is a 2013 Bride’s Choice Awards winner! 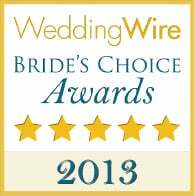 The brides have spoken: Patty’s Cakes is a Brides Choice Award winner for 2013! This is the second year in a row we have received this fantastic award.